Code Tahoe is a web & mobile technology intensive, full-time, 12-week bootcamp on the north shore of Lake Tahoe. Code Tahoe teaches real-world skills to enable a career in technology as a coder, or as a tech entrepreneur. The school teaches individuals with no prior coding experience the skills it takes to be a web developer as well as what it takes to build a product and keep it running. You will create your own applications and build a portfolio of projects to share with employers. You’ll also develop a peer and advisor network for life.Throughout the program, Code Tahoe works with your job search in mind. Thie entire process will give you an active Github presence and technical interview guidance. You will also develop a personal site, refine your LinkedIn profile, and resume. Classes and Labs take place 9:30 AM - 6 PM Monday through Friday with an additional 5 - 10 hours a week of outside work. So glad this exists in Tahoe! This is one of the best coding schools in the area! Perfectly located in Incline Village, Lake Tahoe. The program is perfectly designed for advenced and beginner student who are looking to improve their skills! Friendliest staff and instructors, this program is worth the time! I'm currently taking the Full Stack Immersive course and it's phoenominal. Rush Tehrani really knows his stuff. The course is extremely informational and intensive, and I'm really glad I signed up for it. I learn something new everyday and I really feel like I'll be ready for a full time job in this industry when the course is finished. Tim has been kind enough to help us get our LinkedIn profiles going and making new connections. The fact that they are helping us prep for jobs afterwards is a huge plus. If you are on the fence about taking this course, I say go for it. You learn a ton of information and skills, and you get a taste of what it's like to be in the industry. I have been thinking about learning how to code for years now but I didn't want to leave my mountain lifestyle behind. 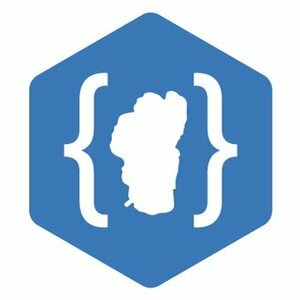 Code Tahoe not only provided incredible instruction, in-depth lessons, and a great support system, but they also helped me land a tech job locally. Definitely the best of both worlds! As of July 2016, students can receive up to 12 credits that transfer to SNC (Sierra Nevada College, Incline Village, NV). An email with these details has been sent to Code Tahoe. You've already applied to this scholarship with Code Tahoe.